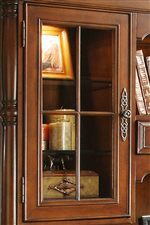 Proudly and fashionably display your book collection and other items in this Sliding Door Bookcase. At nearly 6 feet tall there's plenty of storage space. 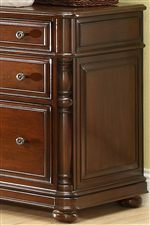 Constructed of a hardwood solid and cherry veneer, this is durable enough to stand whatever you put in it. Featuring tip restraining hardware to prevent falls, this piece will surely last the test of time. 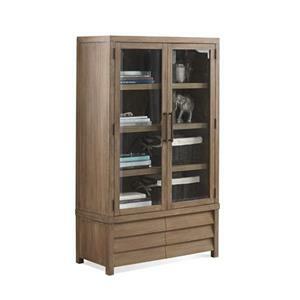 The Bristol Court Double Sliding Glass Door Bookcase by Riverside Furniture at Gill Brothers Furniture in the Muncie, Anderson, Marion, IN area. Product availability may vary. Contact us for the most current availability on this product. 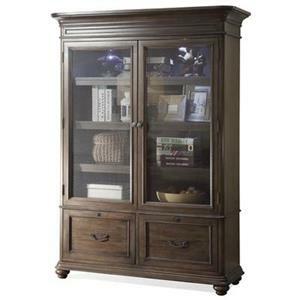 Storage Two sliding glass doors enclose one fixed and two adjustable shelves, and two bottom drawers. 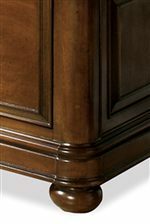 Construction: Case The construction consists of a combination of cabinetmaker hardwood solids and hand-selected veneers. The use of these two hardwood materials allows us to design investment quality furnishings that are beautiful and will increase in value over time. 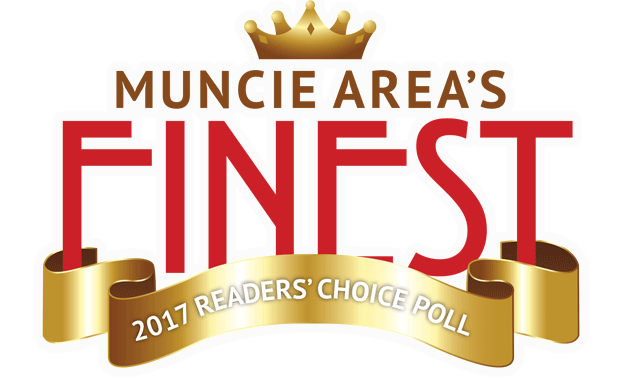 The Bristol Court collection is a great option if you are looking for Traditional furniture in the Muncie, Anderson, Marion, IN area. 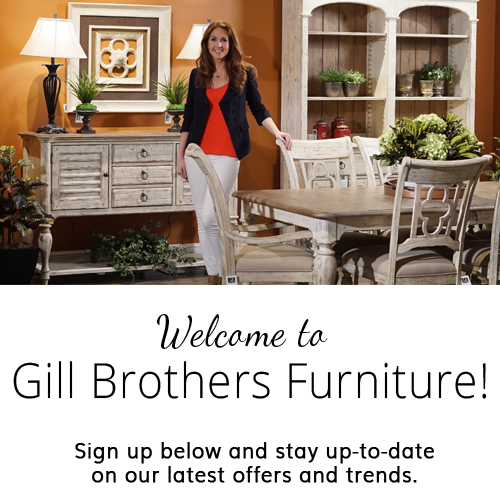 Browse other items in the Bristol Court collection from Gill Brothers Furniture in the Muncie, Anderson, Marion, IN area.